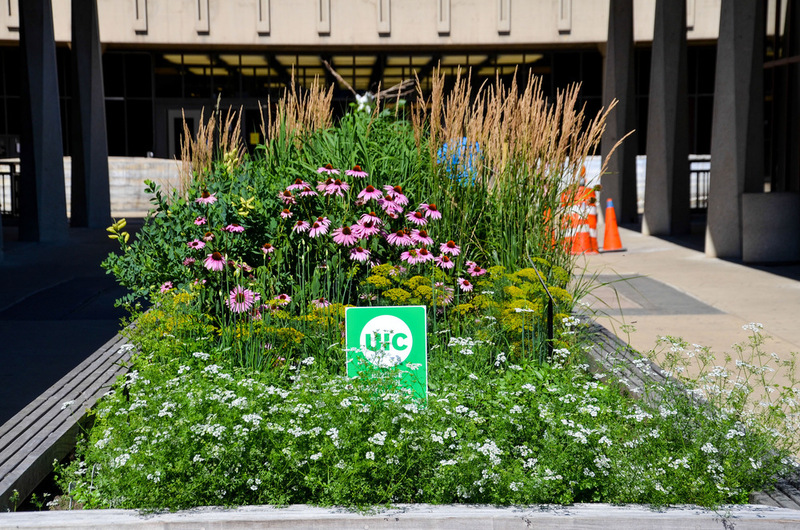 The UIC Heritage Garden is a hands-on learning project with an internship program. 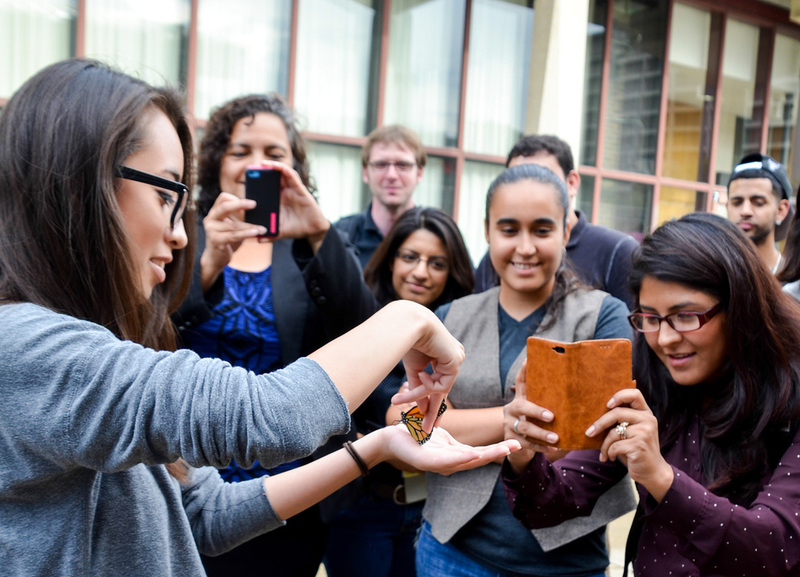 Student interns work with faculty, staff, and community members to connect horticulture with environmental sustainability, cultural diversity, and social justice. There are currently 8 satellite gardens on the east side of campus. The seven Centers for Cultural Understanding and Social Change (CCUSC) collaborate on this project with program infrastructure provided by the Latino Cultural Center. The internship program is funded by the UIC Sustainability Fee. All project efforts are carried out through the activities of the Internship Program. One of the ways in which we document our internship activities is through photography. Currently there are 8 satellite gardens on UIC's East campus. Garden interns research the cultural significance of the plants in the garden. Check out the plants we have at the garden as well as other interesting research projects. We collect stories from family, friends, and community members about environmentally friendly practices and heritage plants. We engage students, faculty, staff, and community members on issues of environmental sustainability, cultural diversity, and social justice. We work with local artists to make creative and explicit expressions on environmental and cultural sustainability. We collect seeds from our garden satellites, local gardeners, and gardens around the globe. The satellite garden serves to recognize Indigenous land of the Chicago area and to the plants that have lived in the region for centuries, sustaining the human and non-human residents. Garden interns have established a garden satellite for the conservation of monarch butterflies. Have any questions or want to learn more? Get in touch!